Apply today for Water Resources Summer Internship! Have an interest in the environment, conservation, and agriculture, particularly water and soil quality? We are seeking undergraduate student interns for our summer 2019 Water Resources Internship Program who are self-motivated, detail-oriented, strong communicators, enthusiastic, and have a sense of fun! Interns’ time will be split between outreach and research, all centered around environmental issues and challenges in Iowa. Visit the 2019 Water Resources Internship Program webpage for additional information and complete application instructions. Applications close Thursday, January 31 at 5:00pm. Highlights from the 2018 Water Resources Internship Program. Internship application deadline is 5:00pm on Thursday, January 31, 2019. Please submit your complete application package to Liz Juchems via email – ejuchems@iastate.edu. Do you know a college student with interests in the environment, conservation, and agriculture, particularly water and soil quality? We are looking for awesome undergraduate students to join our team as part of our summer 2018 Water Resources Internship Program! Interns’ time will be split between research and outreach, all centered around agricultural + environmental issues and challenges in Iowa. Visit the 2018 Water Resources Internship Program webpage for additional information and complete application instructions. Applications close this Wednesday, January 31 at 5:00pm. Please share this with any college students you know that might be interested. We are looking forward to a great summer ahead! Starting this year, we are reaching out to the next generation in a new way, by getting college students out to our field days and talking to college students who want to farm about water quality and conservation issues. On August 30th, we held a field day at the Gilmore City Research and Demonstration Site. If you want to learn about conservation and water quality practices that work, this research site is the place to be. A few days before the field day, we sent an email out to all the Agricultural and Biosystems Engineering undergraduates to invite them to attend. Nine students enthusiastically took us up on the offer and joined us for this excellent event (read more about it in Ann’s blog Cover Cropping on the Lobe). During the actual field day presentations, the college students quietly listened and didn’t say much. However, the faculty and staff who accompanied them said that when they got back into the van, they were filled with so many questions and were nonstop talk about what they were seeing and learning. It is very likely that each of these students will either farm someday or work in the agricultural industry. We are doing our part to whet their curiosity about conservation practices such as cover crops and wetlands. We are also fertilizing the seeds that will grow into a lifelong conservation ethic. We plan to offer more of these field days with college students – in partnership with both ISU and our many other outstanding colleges/community colleges around the state — in the months and years to come. In addition, with the help of a new grant from the Natural Resources Conservation Service and the Iowa Department of Agriculture and Land Stewardship, we are developing and launching an “Emerging Farmers” program. This program takes a proactive approach to address the need for new programming that reaches out to limited resource farmers, emerging farmers and future landowners. We define emerging farmer as someone with ties to agricultural land, not currently farming but would like to return to the farm or have a voice in its management. In collaboration with ILF farmer partners, Iowa Beef Center, Beginning Farmer Center and Practical Farmers of Iowa, we will produce a series of emerging farmers conservation publications. Partners will collaborate to create a sustainable business plan template for the emerging farmers. We will host workshops across the state, as well as a two-day intensive emerging farmer workshop. In the years to come, we will present emerging farmer seminars to ISU agricultural student groups, as well as to community colleges and colleges across Iowa to reach those individuals with ties to agricultural land, infusing the traditional agricultural curriculum with a strong conservation focus. 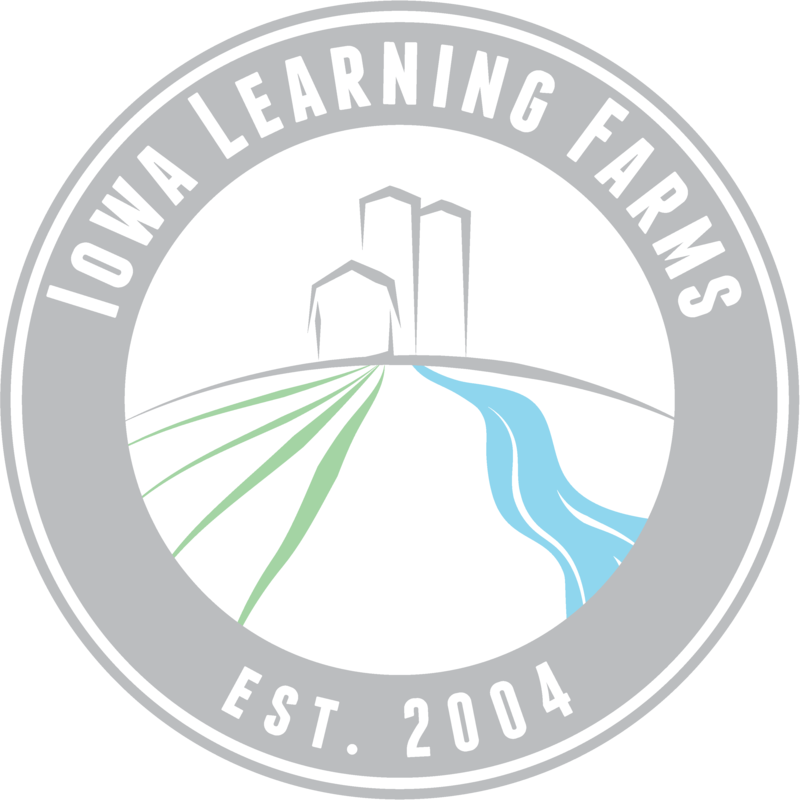 The SWCD commissioners challenged us in 2009 and we continue to listen to that challenge as the Iowa Learning Farms adapts to meet the needs in Iowa for conservation education. We cannot succeed if we are not engaging and inspiring our young people. Send me an email if you would like to get involved in these efforts.